BAC Studios – Website representing an Indie Game Development Studio where people can learn together. Solve problems through discussions and keep doing innovative things. Game development is our priority. Website representing an Indie Game Development Studio where people can learn together. Solve problems through discussions and keep doing innovative things. Game development is our priority. Woohoo! Another game released by Gamkedo Club! Split screen 3D Racing Game called Wild Drivers. It is made in Unity and has neat racing mechanics. If you are like me and your childhood is filled with games like NFS II SE, you would want to bring in a friend and play this game with him/her! I joined the team late again. But this time, I think that I did plenty. I focused on the audio which means that I added two music tracks and all the sound effects (I think 5 sounds but not sure). I also did a little camera animation sequence that plays as a background in the main menu. Apart from that, I added the change view feature (with the ‘V‘ key) and the 2 buttons to toggle the audio in the main menu. Do play this game and give some feedback. It is a fun game especially when you play with someone. Also, below is the soundtrack that plays in the main menu. Enjoy! Here, I have done some modelling for another Gamkedo club game. The tower is quite cylindrical but the studs/tops of the tower distracts the cylinder shape quite well. The two cones are for holding the magic. There are two models: first one in which I have tried the texture painting feature, the other one (without texture painting) is supposed to be used in the game. The models are made in Blender 2.8 beta. The software is fantastic. I wish they release the stable version right now but never mind. I have used SketchFab to upload and share the models here. These models can be viewed from any device and on web. That’s cool, isn’t it? Recently, I made a stylish website that represents the studio and the recent games that I have published along with all the other achievements. Antons is an Orbital Tower Defense Game made by me for the game jam. Unfortunately, I couldn’t submit it on time. It was one heck of a strategic journey. The game is so tuff and requires some decent tricks to win it. Here are some of the tips and tricks that might help you in surviving the alien waves in Antons. Each orbit has a capacity after which no more antons can be added in it. The first orbit only has a capacity of 4 antons. This is not enough and so, the start of the game might be rough. Basically, build 3 deb traps and 1 solar sat. Let them do their work. When anyone of them is destroyed, build moon and start transfering the deb traps onto the next orbit. Always make sure that all orbits atleast have space for 1 anton. That way you can easily push the newly built anton to the farthest orbit. Deb Trap trapping the debris flying in the space. After each level, you receive some Deb as reward. In other words, if you don’t have any Deb Trap and debris (to build Deb Trap), your game is over. Always keep Deb Traps in such positions where it can collect as much debris as possible while ensuring minimum damage to it. Now, here’s the fun fact. It’s not possible! You can’t have Deb Traps that collect debris and also, at the same time, are untouchable by the aliens. To collect Debris, Deb Trap must be present in the outer most orbit. That not only ensures debris collection but also makes sure that the aliens will most likely damage it. Deb Trap are the most important unit and there must be a lot of them. Deb Traps are the Defense Line in the early game. They are the weakest unit but they are cheapest as well. In other words, quantity matters here. Always keep backups of Deb Traps ensuring constant debris income. The values in this game are crazy. They come and go real fast in the later waves. In other words, having infinite (too much) power ensures consistent antons supply to the last/far orbits even when solar satellites are getting destroyed. See the power value. Infinite! Solar Satellites (or Sat.) are the units that provide power. Power is a requirement to push the antons in the next orbits. It doubles every next orbit for all antons. The yellow aliens move fast and can destroy solar satellites without you noticing it and soon, you will be unable to push antons to the next orbits resulting in less space and ultimately, the game comes to an end. When I have control over 5-6 orbits, I usually end up filling* the first 3 orbits with solar satellites. Don’t use solar sat as defense i.e having solar sat in the last/far orbits. It is a very bad move and have no advantage whatsoever. Apart from the power, moon is the also required for pushing the antons to the next orbit. Moon is pricey and requires some patience. Don’t wait for the moon before even establishing the existing orbits. Even if you built the moon and pushed it to the last orbit, having more orbits only meant more space. It does not meant that you have more stability. Infact, it’s the opposite. More orbits can lead to instability if the previous orbits are not fully established and well maintained. It is harder to maintain the far orbits considering the power expenses and orbital capacity in mind. On the other hand, it is also quite a loss if your moon get destroyed. All of a sudden, you completely lost control over your far orbit and your sensitive orbits are now exposed. 5- The game is too easy? Don’t fall for it! My intent is to make sure that the first 5-6 waves are for preparing. The real battle starts at wave 7 and further. Purple aliens are the real headache but there is a solution for that too. See before and after in the pics below. It is in Hard difficulty and as you can see, the outer defence is gone. Guess what happened after that! I lost. In the early game, one should make Metoer but late game demands Comets. Meteor, Comet and Asteroids are the real defense power. But unlike Deb Trap, they don’t collect debris. Having them in the further most orbit decreases debris income because now, the debris will hit them and not Deb Trap. Meteor is cheaper than Comet but Comet is double the strength as compare to Meteor. Now, here is the thing that makes comets better: Comet is 75% more expensive than a Meteor while giving 100% more strength. In other words, Comets are better. But Meteor will occupy more space for less price. Meteors will ensure more stability in the early game. If you have never played the game or is not good at it, play the game and pause a lot. Try to predict where the enemies will hit. Understand the health of your units. Make decisions that are supposed to make it more stable and be consistent with it. When you are losing and you simply want to stay a bit more longer to have a better highscore. When you are facing purple aliens! The joy when an asteroid simply removes all the purple aliens. It is absolutely awesometacular! It is tricky but if you manage to do so and in a proper way, asteroids can prevent huge damage that purple aliens can do to all the other antons. *Not complete filling. I always leave one space in each orbit (at first 5 orbits). To be honest, even I don’t know everything about the game. Maybe someone can play it better than me. Just try out the game and give me some feedback so that, I can make it even better. Save Mars from the Alien Invasion by constructing Orbital Array with units called Antons. The game is Real Time Strategy and there will be 10 waves of Aliens. It is totally your choice but the game is real fun and challenging on HARD Difficulty. This game was supposed to be submitted for BTP Game Jam #2 (Theme: Mini Planets) and later on, for Extra Credits Game Jam #3 (Theme: Cycles <- my game totally suits the theme so, why not 🙂 ). Why I couldn’t submit on time? No particular reason. I think, it takes time to explore and develop a game based on a new/different genre. Recently, Gamkedo Club released another awesome game called WhisperDrift. The game has awesome modern indie game-like graphics with juicy controls and gameplay. 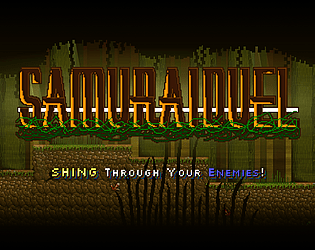 It is made in Unity and is a 2.5D platformer with very nice lighting effects. I joined the team quite late. So, I ended up working on the UI of this game and didn’t mess around with the already decent gameplay and content. Recently, I joined Gamkedo Club. Basically, it is a Game Development Club where you learn Game Development and various other skills by working as a team, on a game. I am impressed by how the overall system works and how the club leaves almost all the choices to the members while guiding them along their own set path, simply making sure that it is a smooth ride. It is like a gym where it is upto you to build up your strength or just have a walk around it (That’s definitely not me). And yeah, no timings and regulations. Zero stress! My club experience was a little rough because I actually wanted to contribute and be a part of someone’s game but I couldn’t make myself to do so. One of the reason is that I rarely read someone else’s code. It is similar to reading your own code after leaving it for a long time. But the bigger reason is, I felt like I am not good enough. But you know that it is not true! How come I focus so well on my personal projects? Of course, that is not something that came in my mind during my time spent on my personal projects. In fact, I like challenges. So, what now? I realized that I am just hesitating because I was thinking that maybe someone else might not like my changes. Maybe, someone else could do it better than me. And that’s exactly the mindset that this club totally dismisses. As far as I know, the club as well as all the members accepts all those changes/improvements/additions that you made in the game (if those changes are really geniune effort and you really tried to make the game better). It doesn’t matter if you are good or bad, you gotta have to do it. It doesn’t matter if you feel like you can’t do it, you can probably do it bad at first. And if it is bad, someone will lend you a hand and help you make it better. That’s all folks. The game that I worked on, is released and I am so happy about it. But that’s for the next post. Bye.